My blog is boring. I will admit it. I spent the last few days sprucing it up visually, but what I just realized is that it's content is extremely fall asleep at the key board pretty boring too. Now, everyone loves cute baby like London, but why would someone who is not blood related to him come all the way over to The Infertility Overachievers just to see a bajillion pictures. Isn't that what Facebook is for? Then again it could also be that no one wants to come around because I use made up words like "bajillion". Either way, I will be stepping up my game from now on. Trust me I have plenty of things to write about, but for some reason I always think that no one wants to read that crap. I mean seriously though, it can't be any worse then looking at a bunch of pictures of a random baby (he is pretty freaking cute though). In an effort to start things off right, I will be doing an AWESOME series of giveaways soon. I just have a few more details to iron out before I can officially announce it. However I wanted all 5 of the people who still read this to know that it might just be worth sticking around a little while longer. There are so many people that make a money off of blogging! 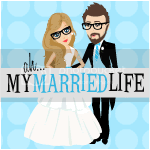 I need to start blogging again, but I fell into a lazy rut! Maybe you have inspired me?!? !...just maybe! I'm still reading! I'm not going to lie, he IS pretty cute. I still read all the time! And I love all the little updates and photos of London! I am still reading. But sometimes your blog doesn't show up in my feed. Weird. I just realized today that I have missed your last 3 posts! Ding Dong, the trigger is gone! 2ww and Some Very Exciting News! ICLW, Follicle Update, and an HSG dilemma. 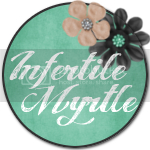 Infertility Update And Twitter Too. How to ruin a new car in 12 days. One of my favorite pictures EVER!!! Cool People and Websites You Should Check Out!